For years we drove our Scouts without cup holders. One day we got tired of spilling coffee all over the seat and designed the floor mount cup holder. 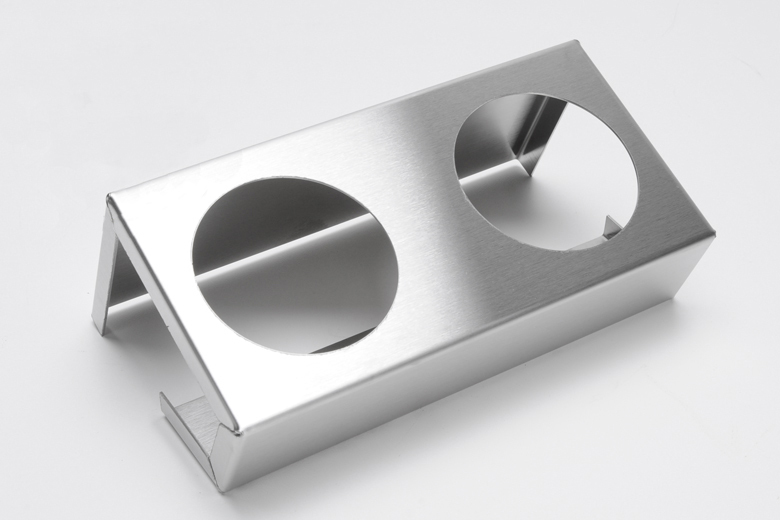 The cup holder is made of heavy 18 gauge stainless steel (not at all flimsy), is laser cut, and is perfectly suited to mount in any Scout II without any drilling! 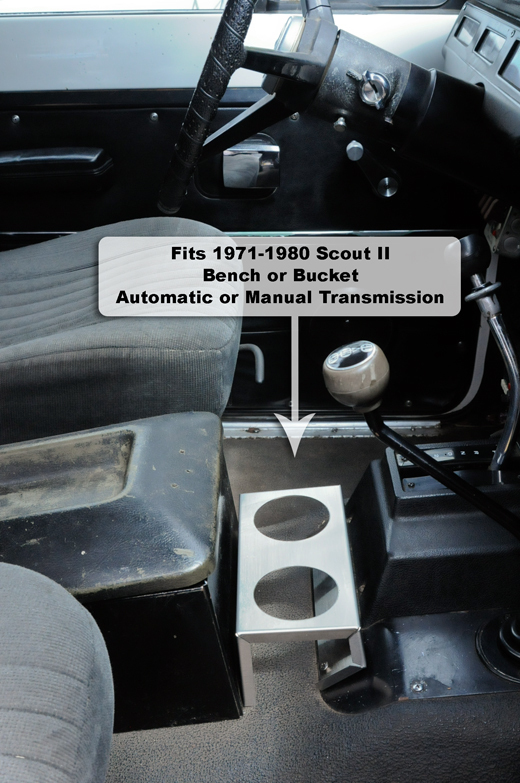 The Scout cup holder uses the two lowest transmission cover screws on the Scout II. They are 3" holes. Pickups, Travelalls, and early Scout (80/800) have a similarly sloped transmission hump, so the cup holder will work if you drill holes for two mounting screws. 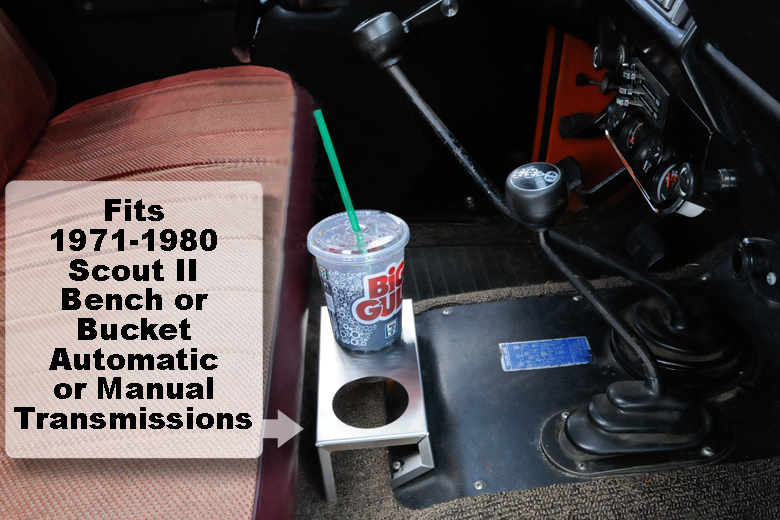 From our customer survey we had hundreds of responses from Scout drivers who wanted a cup holder, so here it is!